How do I Choose the Best Lightweight Walker? A doctor can counsel someone on which type of walker is appropriate for their needs. 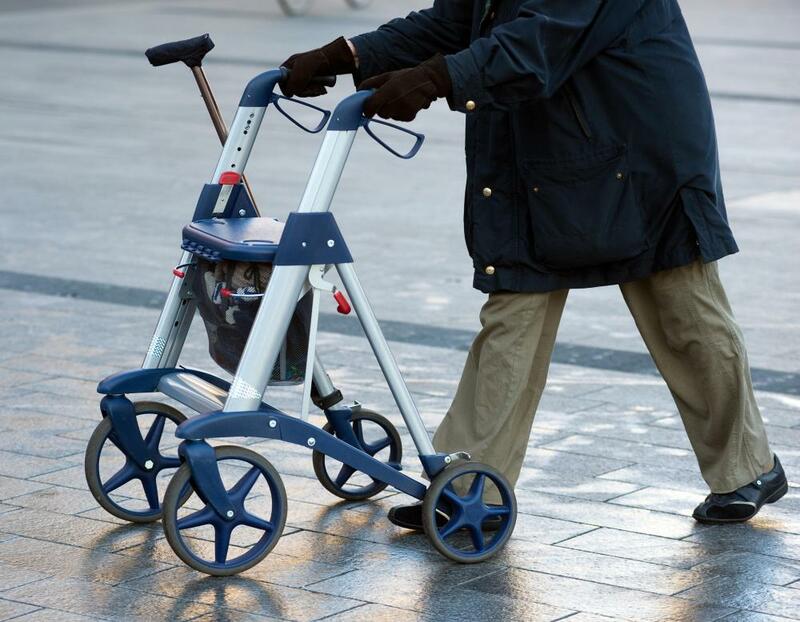 A lightweight walker may feature thinner wheels. Lightweight walkers are useful for those that suffer from impaired movements or injuries to the lower body. When choosing a lightweight walker, you should think about how and where you might use it. Consider whether or not you need to transport this piece of equipment from one location to another. You should choose an item that is the correct height, so check to see if it adjusts up and down. Finally, try walking with different styles to see if you like models with or without wheels. Some walkers are made for indoor use, while others can be used inside or out. If you do not plan to use your lightweight walker other than at home, a basic indoor piece may be sufficient. In the event you might use this device to walk in the yard, a type that is suited for outdoor use might be more practical. Not every lightweight walker folds up for easy storage, so this can be a major concern. This might be especially true if you plan to use this equipment when traveling or running errands. Consider whether or not you have ample space in the trunk of your car to store this mobility aid, so you can decide whether or not you need a folding model. You should be slightly bent at the waist when using a lightweight walker. If this equipment is too tall or too short, find out if it can be adjusted to a height that is comfortable to you. After doing this, check to make sure the frame is securely in place and does not slide or buckle inward as this could cause you to lose your balance. Most of the weight of your upper body is supported by this mobility aid when you walk with it. If you have fairly strong arms, you may want to use this device by picking it up slightly and then setting it down in front of you. 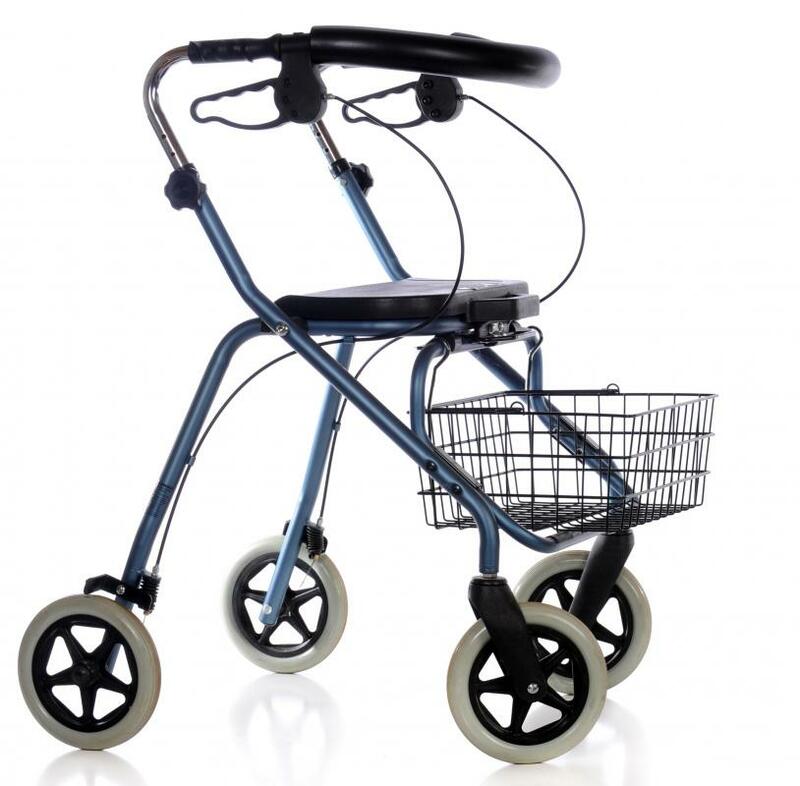 In this instance, you may prefer the lightweight walker to have rubber tips on its ends for stability. If you have a hard time picking the walker up, you may want to consider a model with wheels. You usually hold on to the top of this model while pushing it slightly in front of you. This might be best if you are only able to take small steps. A lightweight walker can be a good choice if you have impaired movement or suffer injury to your lower body. A physician can usually recommend a type that is best-suited for your particular needs. Selecting the right equipment can allow you to remain more active than if you do not use a mobility aid. What is a Walker Bag? I would definitely recommend the standard aluminum walker if you really want a lightweight one. The rollators that convert to a seat are rarely lightweight. They're handy, but they're also heavy. Learning to assist someone with a walker takes some practice. Really, there ought to be classes on this taught somewhere. You have to learn to fold them and get them in a car, and how to help someone who is using one, like opening doors and that sort of thing. 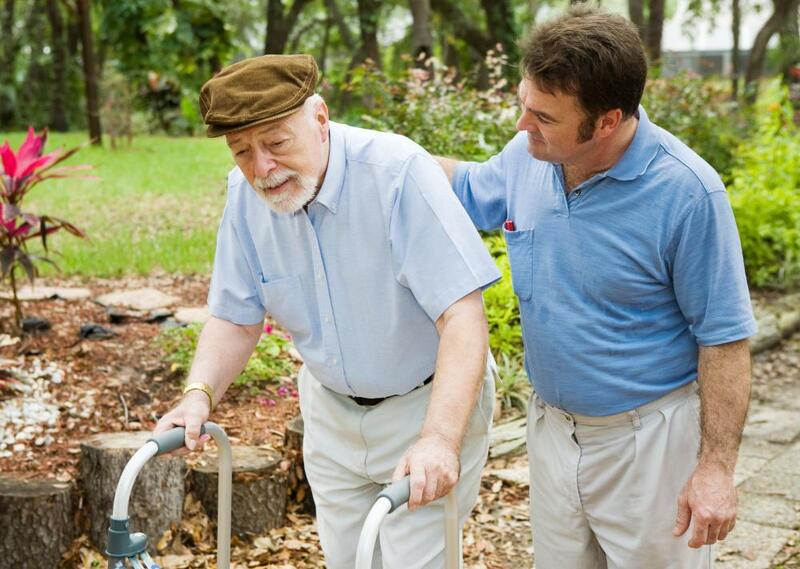 You also have to remember to stabilize the walker for someone when they are stepping down from a curb or step. The darn things will tip over if you don't hold them steady, and that could lead the user to fall. Like I said: someone needs to teach classes. Most walkers are made of aluminum and are pretty lightweight anyway. The *main* thing to look for in a walker, in my opinion, is that it folds easily. If you're getting this for a loved one, you will be hauling that thing in and out of cars and trunks. Get one that folds. Depending on the person, getting a walker with wheels on the front legs is also a good idea. That way, they don't have to drag the thing. Whether you have one with wheels on the front or all plain legs, invest in some tennis balls. Cut an "X" in each ball and put one on each leg, or on the back legs. Makes it so much easier to maneuver.